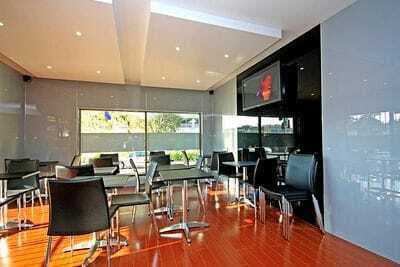 Innovative Interiors, custom made, coloured & robust in performance. 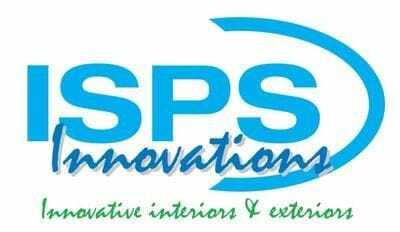 ISPS Innovations stimulate the creative design of Architects, Designers and DIY Consumers by custom building innovative interiors backed by ISPS colour face and colourback technologies. ISPS Innovations create the ultimate superior finish. 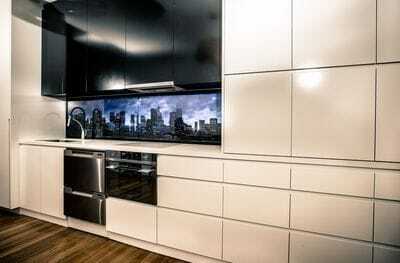 A stand out Polymer Splashback & Wall Panel supplied in the market place is Bonethane. A high heat polymer and coating formulae that is self extinguishing and does not crack when cutting, drilling or planning. Available in any colour and print. See our burn test Bonethane VS ACRYLIC blow torch test Bonethane coloured and printed splashbacks are available with GRIPTEK barrier backing (also applied to IPA Acrylic Sheeting.) Bonethane coloured and printed splashbacks can be used outdoors. In this image ISPS Innovations have created a seamless water fall edge with no join. 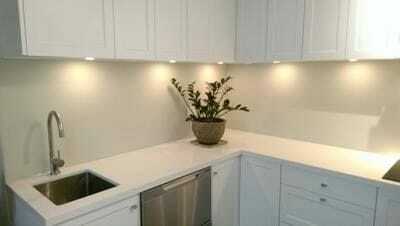 Splashbacks in any colour for kitchen, bathroom and laundry. What makes ISPS different is our colour technologies conforming with the substrates. ISPS Innovations have quality tested our range for expansion & contraction, lifting of coatings, & substrate colour displacement (which is very common). Our range has been placed in accelerated testing methods, allowing ISPS Innovations to provide robust building materials. 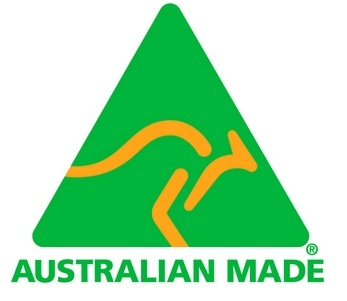 Our products meet Australian Standards in colour & structural warranty for our Australian made Splashbacks, Australian Made Benchtops, Australian Made Doors, Australian Made Kitchen & Carcasses. ISPS Innovations lead in the production of Acrylic PMMA & Bonethane Polymer Kitchen Splashback, Laundry Splashback, Bathroom Shower Wall Panels, Feature Wall Panels, Printed Splashbacks, Printed Wall Panels, Kitchen Resurfacing (& New Kitchen) & Benchtops in CulourTEK Creations providing, solutions for many categories and an unlimited colour range. Each colour request is custom made for you. Our team are available to guide you through the colour design & application process. Where else will you find a broad range of splashback, benchtops and door options in any colour of your choice. 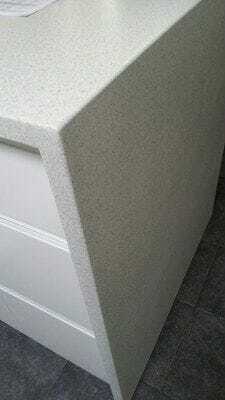 Australian Made building substrates, suitable for every application. 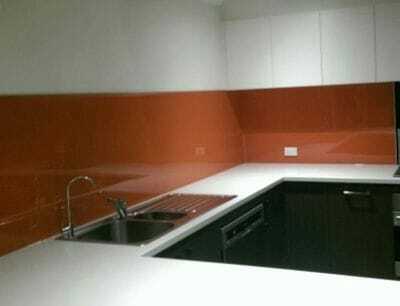 One and only rule when choosing your ISPS Innovations splashback, benchtop, kitchen colours & lay out, your colour choices & decisions should be your responsibility. Ensure that the colour palette of each substrate you work with do not clash. Do not assume what colours you're getting, own it!. ISPS Innovations provide alternative colour options, colour matching and samples prior to colour application once committed to the order, so we ask that you do not refuse this service on a guess. ISPS Innovations match by eye not colour formula so it is imperative that when providing colour direction for matching that a primary a colour sample is presented to ISPS Innovations. CulourTEK benchtops are hand crafted, available in any colour combination, providing longer lengths, shaped returns and waterfall edges that are seamless. 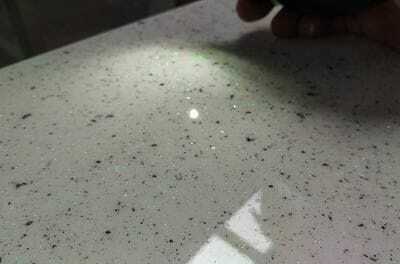 Unlike other benchtop substrates ISPS CulourTEK Benchtops will not crack or separate like the conventional stone, granite or acrylic benchtops do. ISPS replicate stone, timber, marble and opal finishes, available in rich satin (matte) textured finish, flat satin finish & high gloss finish. With ISPS advanced colour technology it allows our establishement to create grains following in the same direction instead of patterns & shapes changing direction creating a mismatch. 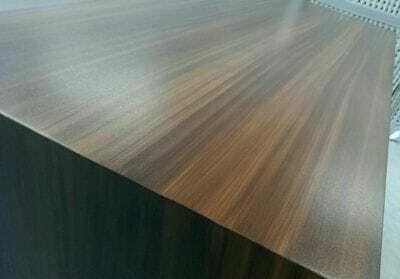 CulourTEK high gloss stone look benchtops & satin textured timber look benchtop with seamless waterfall edge. 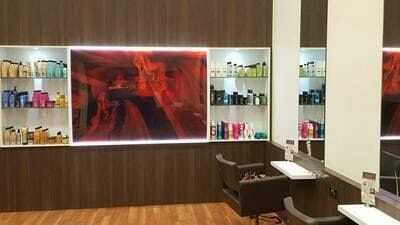 We lead in innovations and colour/ colour combination options thinking outside the square. No limits!